Rewards for consistently good work, excellent attendance, star of the week or to recognise positive improvement or effort can be designed to reflect your school branding and identity. 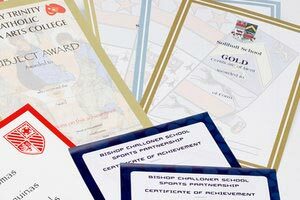 Putting effort into the look and feel of your school’s certificates further increases their value and significance in the eyes of children and their parents, at all levels and age groups. 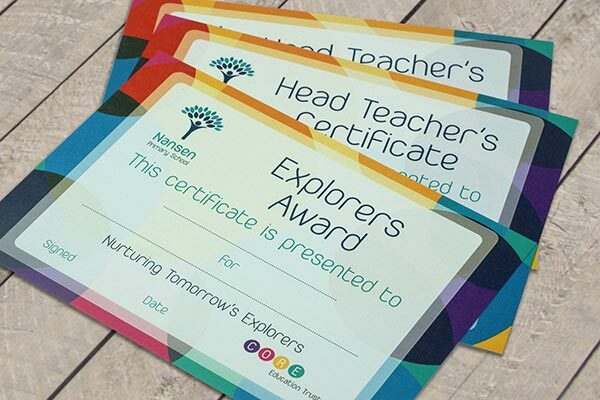 Our design studio will be delighted to produce bespoke designs for your school, we can even personalise certificates to individual students, saving time for school staff and further enhancing the overall effect. Get in touch to discuss your school certificate requirements today.